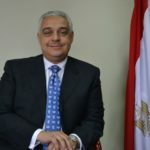 Ambassador Yasser Elnaggar is a career diplomat with more than 25 years of experience in foreign policy, national security, business, trade and investment, who has served around the world for his government. He was Senior Policy Adviser to the Presidents of the 61st and 64th sessions at the General Assembly of the United Nations, Director of the Department of United Nations Affairs at the Ministry of Foreign Affairs in Egypt, Counselor at the Permanent Mission of Egypt to the United Nations as well as Advisor to the Minister of Foreign Affairs of Egypt and to the Secretary General of the League of Arab States. Currently, Ambassador Elnaggar is CEO of ENInvestment, a full-fledged multiline management advisory and investment house that provides personalized services to its clientele. Ambassador Elnaggar serves on the Advisory Council of the Antiquities Coalition. While serving as Deputy Chief of Mission for the Embassy of the Arab Republic of Egypt from 2010-2014, your leadership helped to close U.S. borders to your country’s illicit antiquities, which were flooding the American black market following the June 30 Revolution. When did you first learn about this cultural racketeering and what tools did the embassy use to combat it? In the wake of the 25th of January revolution and the events by organized crime to loot the Egyptian Museum and the reaction of the Egyptian population who shielded the Museum with their own bodies, it was evident that there was a coordinated attempt to rob Egypt of its heritage and identity. In April of 2011, the Capital Archeological Institute at George Washington University, led by Deborah Lehr, provided me and the Embassy the satellite imagery of archeological sites in the Dahshur area where looting was taking place. We immediately worked to organize a delegation from the Capital Archeological Institute and the Archeological Institute of America to visit Cairo in May 2011 where they met an interagency senior official group from the Egyptian government to discuss ways and means to combat what has become quickly a trend of illegal excavations, smuggling, and sale of Egyptian Antiquities. The Embassy used its wide range of contacts in the U.S. to bring awareness of this phenomena as most of the looted antiquities were sold in the U.S. market through dealerships and e-commerce platforms. AC Chairman and Founder Deborah Lehr and Ambassador Yasser Elnaggar at the Egypt-ICPEA Public-Private Partnership Signing. Beyond your role as the DCM in Washington, you have had a distinguished career as a policymaker, diplomat, and one of Egypt’s leading economic experts. Based on this extensive experience, why do you feel that fighting antiquities looting and trafficking is important? Fighting looting and trafficking is important in many ways, especially for a country like Egypt that hosts almost 50 percent of the world’s known antiquities. It is not only identity theft, but also an economic crime the deprives the country of its most important tourism asset. It is also a crime against common human heritage when thieves and thugs loot treasures for the benefit of some wealthy individuals around the globe. Egyptian antiquities should be displayed for the entire human race as part of the common human heritage. In addition, most of those organized gangs use the returns of the illegal trafficking of the antiquities to fund other organized crimes or terrorist groups. This is why governments around the world, as well as organizations and civil societies, need to adopt a coordinated policy to combat this. Egypt is not alone in its battle to combat looting, and indeed every country with a rich history is at risk, including many throughout the Middle East and North Africa. What advice would you give their governments, to help them preserve their past for future generations? Egypt was not alone as a target of racketeering and illicit trafficking of antiquities. Syria, Lebanon, Iraq, Libya, Yemen and many other countries face the same situation. The Middle East is the most affected region of racketeering in the past for seven years. It is incumbent on all governments and people who believe in common human history to stand together to face those who profit from stealing our common past from our future generations. UNESCO should have played a much bigger role in changing the policies and rules that puts the onus on countries like Egypt and the rest to provide proof of looting and racketeering when the onus should be on those who are selling and trafficking those items. The United Nations should adopt an approach to lead the negotiations for drafting a new convention to combat this phenomenon. On this front, what accomplishments make you the proudest, personally? Personally, I am proud to be a part of the effort to raise awareness at home and abroad about cultural racketeering and illicit trafficking of antiquities. I believe that those efforts were essential in paving the way for the signature of several MOUs between the U.S. and many countries in the Middle East to empower law enforcement authorities in the U.S. to detect and address trafficking in antiquities. Finally, Egypt is home to so many wonders of the world, what is your favorite archaeological or historic site? As an Egyptian and son of a very rich culture, there is no single favorite archeological site to me. What amazes me always is the diversity embedded in the Egyptian culture. Pharaonic, Greek, Roman, Jewish, Christian, and Islamic heritage makes Egypt a melting pot. People across the world need to embrace this diversity and the fact that heritage from all those periods remain vivid not only in the Egyptian culture, but more importantly in the traditions of its people. That is the wonder of Egypt.